Congratulations are in order for The Cass County Disaster Emergency Response Team. 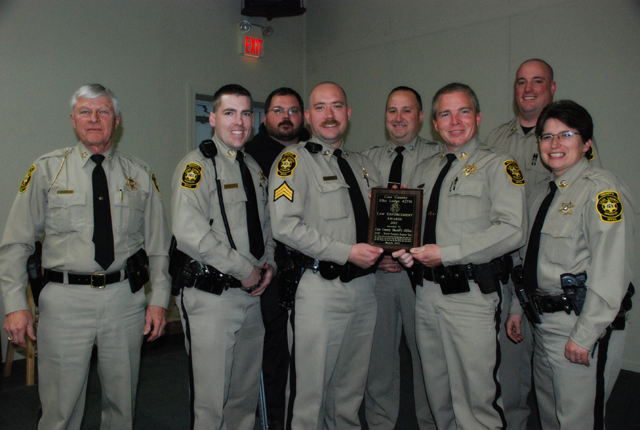 They were selected as the "Elks Lodge Deputy of the Year." This award was presented at the Elks Lodge in Harrisonville, Missouri on the Twenty-First day of March, in the year Two-Thousand Thirteen. The D.E.R.T. unit was nominated by their peers to receive this award.